RollingBarge.com sells two classes of floating docks the “Channel Dock” and the “Truss Dock”. Both kits use 55 gallon polyethylene plastic drums as the floats. The strength of the aluminum combined with the flexibility and shape of the drums allows these docks to survive the freezing and thawing of most ponds and lakes. Why are most floating docks removed before the lake freezes? 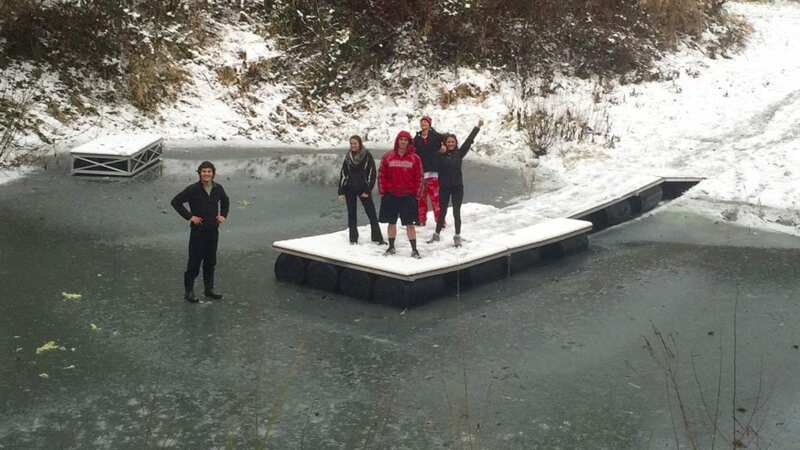 Typically it is not the freeze that damages floating docks, but a partial thaw. 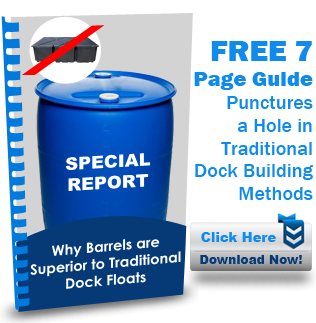 Most floating docks use rectangular dock floats. These floats have vertical sides that drop down in the ice. During a thaw the ice can break or crack and put tremendous pressure on the sides of the dock float causing it to crush or puncture. 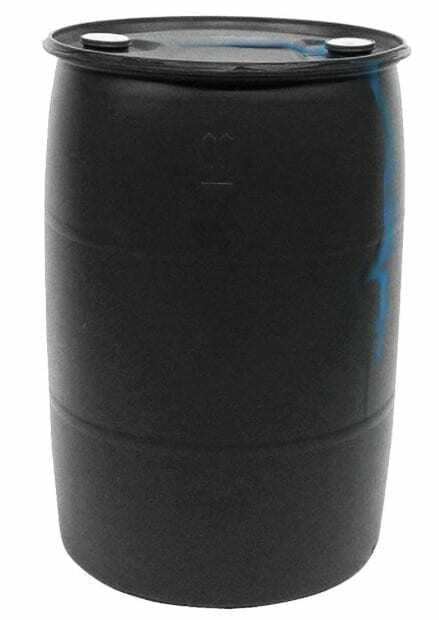 However, the 55 gallon plastic drums are made from much thicker plastic than the typical dock float, and they are shaped so that as the ice moves the barrels are forced up onto the ice instead of being crushed. Above is a 4×8’ section of our Truss Dock that we let freeze into the ice. With our Truss Docks, it is important that the dock is not loaded up with furniture or something else that would cause the frame to touch the water. If the dock frame is allowed to freeze into the ice it could be damaged when the ice thaws. Our Truss Docks are designed with one 55 gallon drum per every 8 square feet. This insures that the frame stays above the ice even with Trex style laminated wood decking (which weighs about 5lbs/sqft).